An attorney for more than 10 years, Mr. Pichardo possesses the skills and resources necessary to handle the demands of your case no matter the complexities involved. Working closely with you, he will fight hard to protect your rights and best interests, helping you achieve the most favorable outcome possible depending on your situation. Understanding the stress and anxiety you are likely experiencing regarding your situation, Mr. Pichardo and the law firm's dedicated legal staff will treat you and your family with the respect and dignity you deserve. 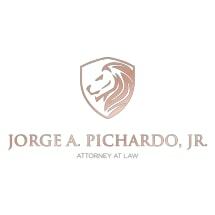 Whether your legal need relates to a recent arrest or a matter affecting your family, you can trust the Law Office of Jorge Pichardo Jr. to help you through what is likely the most difficult time in your life. To find out more, you can contact the law firm to schedule a free initial consultation.